UPSEE Seat Allotment 2017- उतर प्रदेश स्टेट एंट्रेंस एग्जामिनेशन सीट आबंटन: Dr. A.P.J. Abdul Kalam Technical University, Uttar Pradesh, Lucknow has announced the notification of UPSEE Seat Allotment which has already started from the month of June. 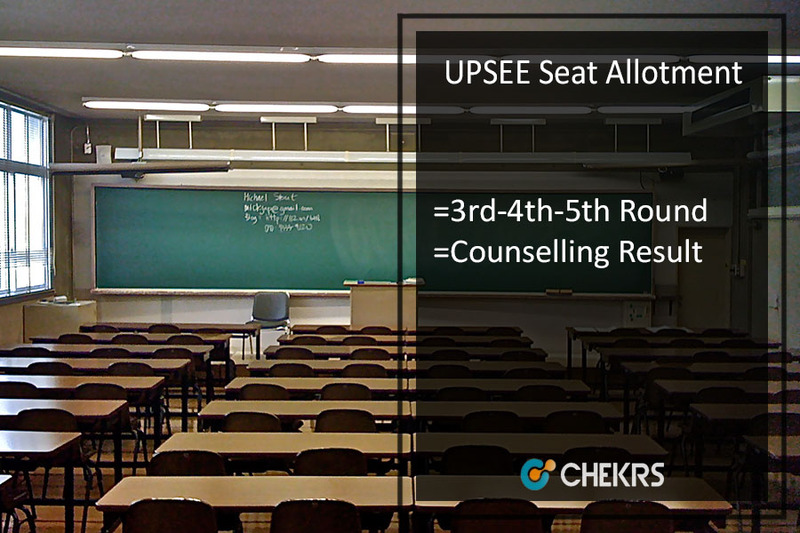 The UPSEE counselling process is held in total five rounds which include subsequent steps. The authority has declared the UPTU 3rd Counselling 2017 registration, choice filling and other processes on 11th July and is accordingly going to release the results on 16th July. Further candidates can also get here details of UPSEE 4th Counselling followed by the fifth round. Dr. A.P.J. Abdul Kalam Technical University (AKTU) conducts its UPSEE exam every year. Therefore candidates who have successfully qualified the exam and are called for the counselling can check here Results of UPSEE Seat Allotment 2017 and get details of the seat allotted to them. The University has previously released UPSEE 1st Seat Allotment followed by second and now has started the procedures of UPSEE 3rd Counselling 2017. During each counselling, candidates can withdraw their option or freeze, float and slide the choices. Therefore the candidates can get here details of fourth counselling along with UPSEE 5th Round Seat Allotment. There will be 10% seats available in UPTU Seat Allotment 2017 in private institutes affiliated to AKTU for candidates belonging to other states and who have passed their qualifying exam outside Uttar Pradesh. 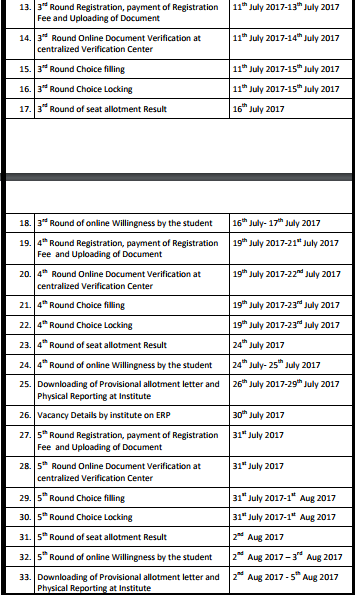 The third round of counselling registration, choice filling, and all other processes for Uttar Pradesh State Entrance Exam 2017 (UPSEE) organized by AKTU for UG and PG courses have begun from 11th July. Therefore the authority is now going to release UPSEE 3rd Round Seat Allotment Result on 16th July 2017. Therefore candidates who are yet to lock their preferred choices and upload the required document can now register themselves for UPSEE Third Counselling. As per latest notification, a total of 1,69,170 students has registered for the UPSEE in 2017, of which 1,38,000 have cleared the exam. After the third counselling round, AKTU will conduct UPSEE 4th Round Allotment, which will be done only for the general candidates. In the fourth counselling, the vacant seats of SC/OBC candidates will be for merged with General category seats. Candidates who didi not participate in 1st, 2nd and 3rd Round of AKTU Counselling 2017 must follow the process of fresh registration for UPSEE 4th Phase Allotment Result. After that, the authority will conduct UPSEE Fifth Round Counselling from 31st July. In the 5th phase of counselling, candidates who opted for freeze and upgrade option in round 4 and candidates who were not allotted any seats in previous rounds can participate. Below we have provided the steps to check UPTU Seat Allotment Results. Dr. A.P.J. Abdul Kalam Technical University, Uttar Pradesh, has started its counselling process and is accordingly releasing the UPSEE Counselling Result 2017 for its various rounds. Therefore candidates appearing for 3rd, 4th, and 5th rounds can now get here results of the third counselling along with UPSEE 4th Round Seat Allotment followed by fifth round results.